The CIA conducted a K-9 training exercise at a high school in Loudoun County, Virginia, last week, and accidentally left an inert explosives training device on a school bus, the agency acknowledges. CIA employees and members of the Loudoun County Sheriff's Office worked on a school bus last week at Briar Woods High School in Ashburn, Virginia, to train dogs to detect bombs. "During the exercise, explosive training material was inadvertently left by the CIA K-9 unit in one of the buses used in the exercise," the agency said in a statement. The device, which looked like a small, black package, was found next to the engine of the bus, but school spokesman Wayde Byard said it had no detonator or triggering device and posed no threat to students. "When it is in a benign state, which means it has no blasting cap or electronic triggering devices on it, it is a safe substance," Byard said a Bureau of Alcohol, Tobacco, Firearms and Explosives representative told him. The bus carried 26 students on Monday and Tuesday before the device was found during routine maintenance, Loudoun County Public Schools said in an email sent Wednesday night to parents. The bus transported students with special needs 145 miles before the item was found, Byard said Thursday. "A piece of that training material fell out and remained within the bus, and it was discovered later when the bus was taken in for a mechanical checkup," Loudoun County Sheriff Mike Chapman said. The CIA also said the device could not have harmed anyone. "CIA and Loudoun County explosives experts have confirmed that the training material did not pose a danger to passengers on the bus," the statement from the agency said. 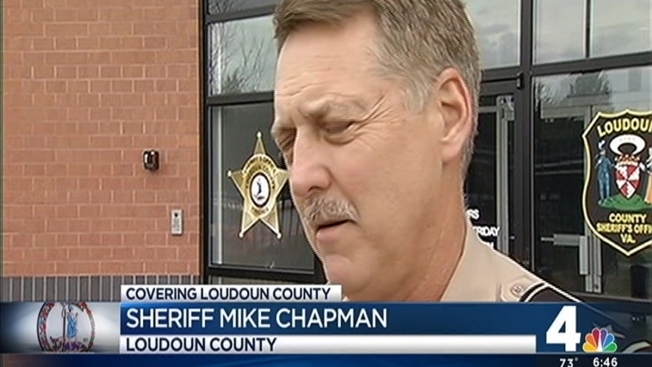 Still, Loudoun County residents said they were upset. "It's so frightening. It's just very, very scary," resident Sara Marsh said. "There should have been a checklist," resident Donna Caulfield said. "The federal employees that were involved in that drill should be disciplined." The CIA said the agency will review and strengthen its K-9 program to prevent any mistakes in the future. The sheriff's office and fire marshal have suspended their participation in the program until its procedures have been reviewed.